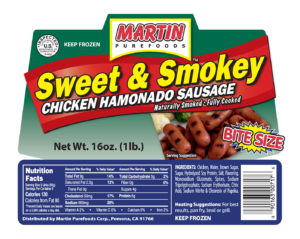 Home »Sweet & Smokey Chicken Hamonado Sausage • Bite Size 16 oz. »Sweet & Smokey Chicken Hamonado Sausage • Bite Size 16 oz. Sweet & Smokey Chicken Hamonado Sausage • Bite Size 16 oz. INGREDIENTS: Chicken, Water, Brown Sugar, Sugar, Hydrolyzed Soy Protein, Salt, Flavoring, Monosodium Glutamate, Spices, Sodium Tripolyphosphate, Sodium Erythorbate, Citric Acid, Sodium Nitrite & Oleoresin of Paprika. 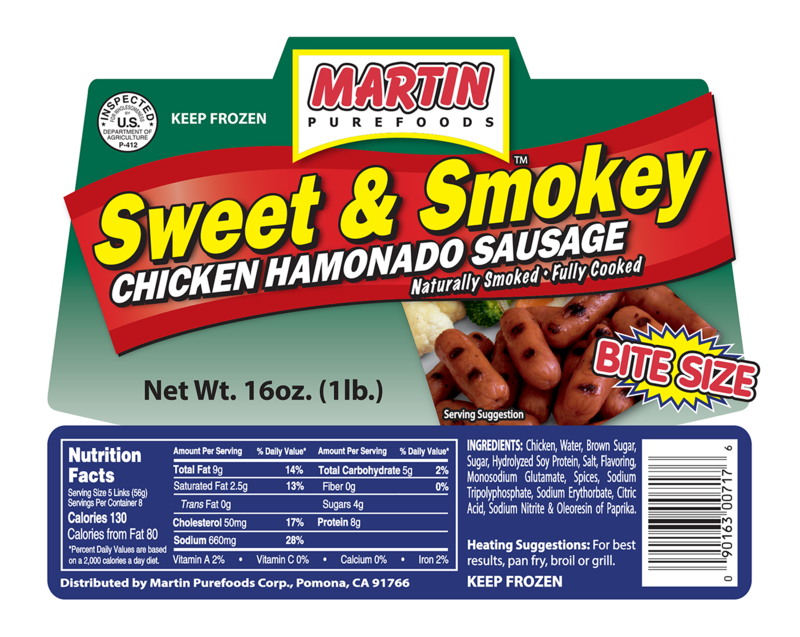 ← Previous Previous post: Sweet & Smokey Chicken Hamonado Sausage • Bite Size 16 oz.